Here are the recipes from our inaugural Cooking Up History session. See how we got on, or try the recipes for yourself! 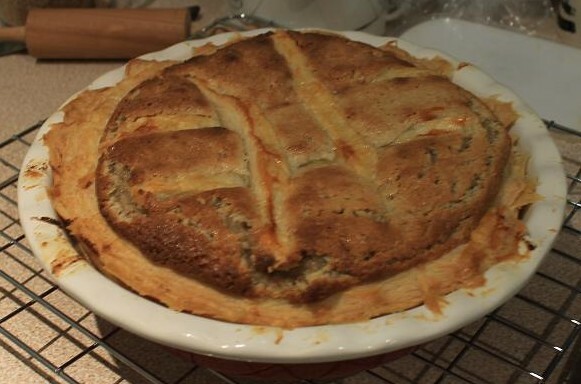 Try this 18th century almond pudding, laced with exotic flavours of rosewater and nutmeg. We’ve adapted this recipe for the modern kitchen. 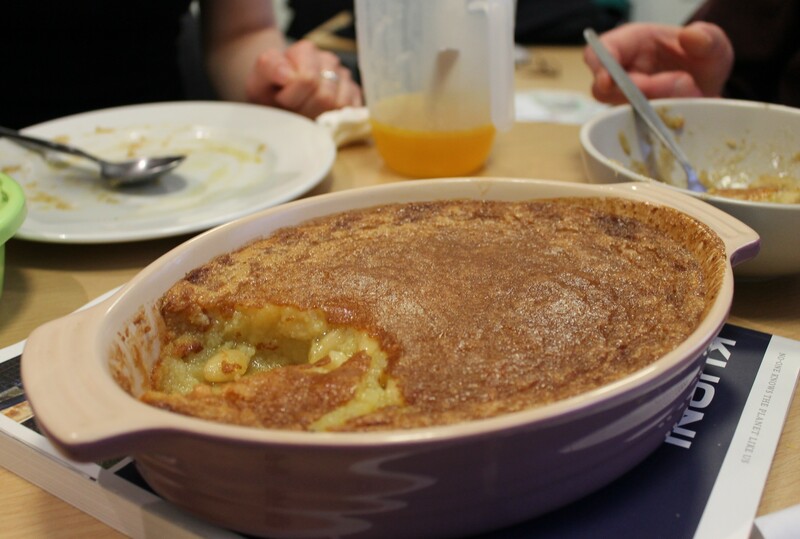 We’ve tweaked the recipe we tried with our Cooking up History group to give the batter firmer texture, but it’s still delicious! Cream the sugar and butter, and mix in the sugar, cream, beaten egg yolks and nutmeg. Add enough breadcrumbs to produce a stiff batter and mix well. This recipe turns out somewhere between an egg custard and a bakewell pudding. We liked the crunchy texture of the whole blanched almonds and the richness of the sherry! Bring the cream to the boil with the mace. Separate the eggs so that you have 3 yolks and 1 white. Beat the white. Mix the butter, sugar, egg yolks and egg white and rosewater into the cooled cream mixture. Half a pint of brandy, a pint of sherry, an ounce of thin par’d lemon peel, half an ounce of mace. Steep them for fourteen days, then strain it and add a quarter of a pint of clarified syrup – this mixed with melted butter is an excellent relish to puddings & sweet dishes. Squeeze the oranges and strain the juice from the pulp into a large pot. Boil it up with a pound and a half of fine sugar to each pint of juice. Skim it well when cold, bottle & cork it. Add it to melted butter. A glass of sherry, half a glass of brandy, two teaspoonsful of pounded lump sugar, a little grated lemon peel in a quarter of a pint of thick melted butter. Grate nutmeg on the top. A site after my own heart! I shall enjoy reading further.